Normal Not Found was a six month process from finding a name to making the logo. Originally, my business was called Little House of Crafting. I knew that I needed to change the name after I decided to switch my focus from general crafting to geeky buttons. I wanted to give my geeky customers the attention they deserve. I needed a new name for my new direction. 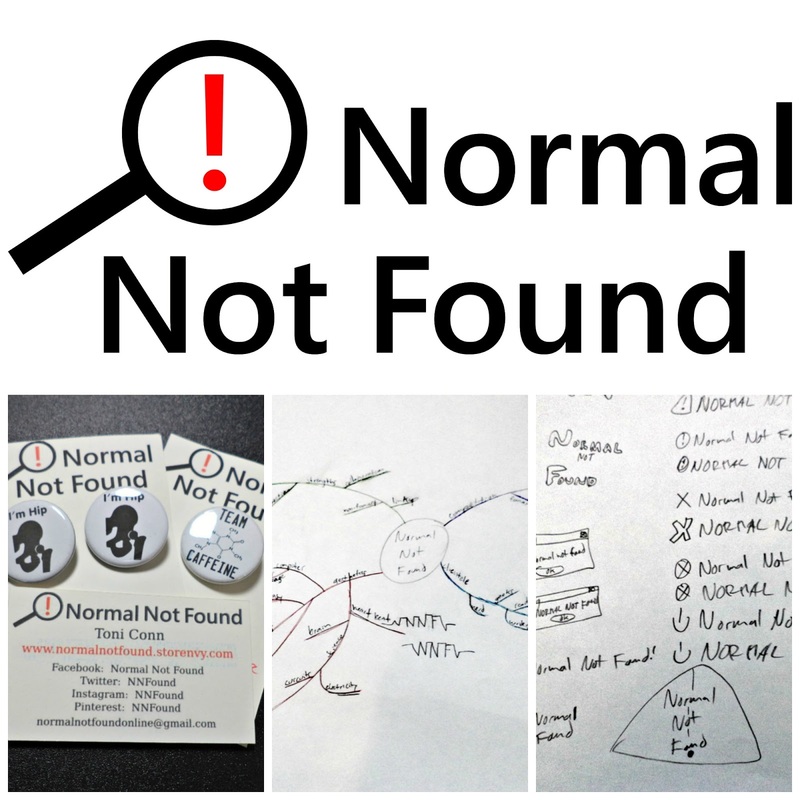 I settled on Normal Not Found for a name based on the familiar 404 Error Not Found that we are all familiar with. I felt that as a geek, and for helping geeks, it fit perfectly! 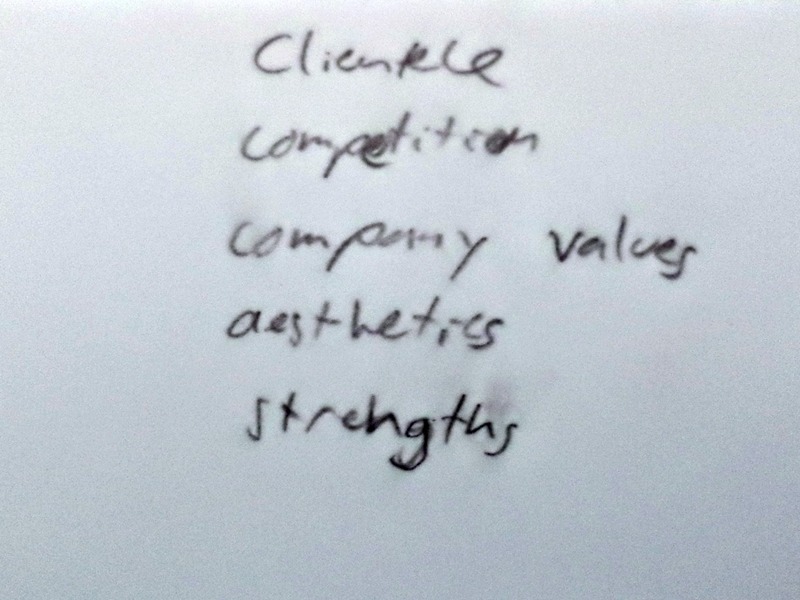 The logo process began with word associations that were familiar to geeky likes. Words and phrases such as brain, spectacles, heart beat, and four-eyes came to mind. After researching competitors, I noticed that the brain and spectacles were used quite often. I knew I wanted to steer away from that. 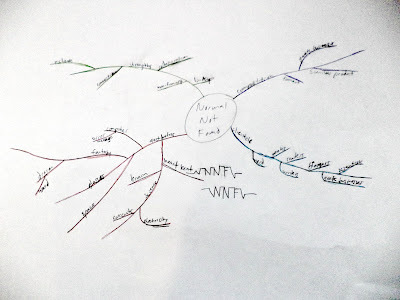 After the mind map, I felt that it was time to start sketching to get visuals down on paper. I got out my drawing board and a piece of the biggest size sketch paper I had (18 x 24) and got to work! I put a list of aspects to focus on in the corner. 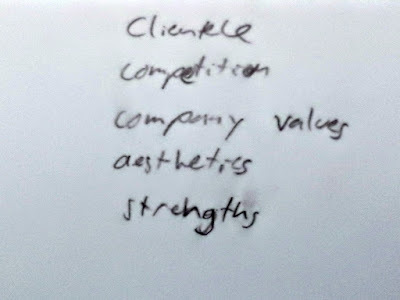 I wanted to keep the clientele, competition, company values, aesthetics and strengths of my company in mind while I worked. This also helped alleviate the paralyzing Blank Page Syndrome. 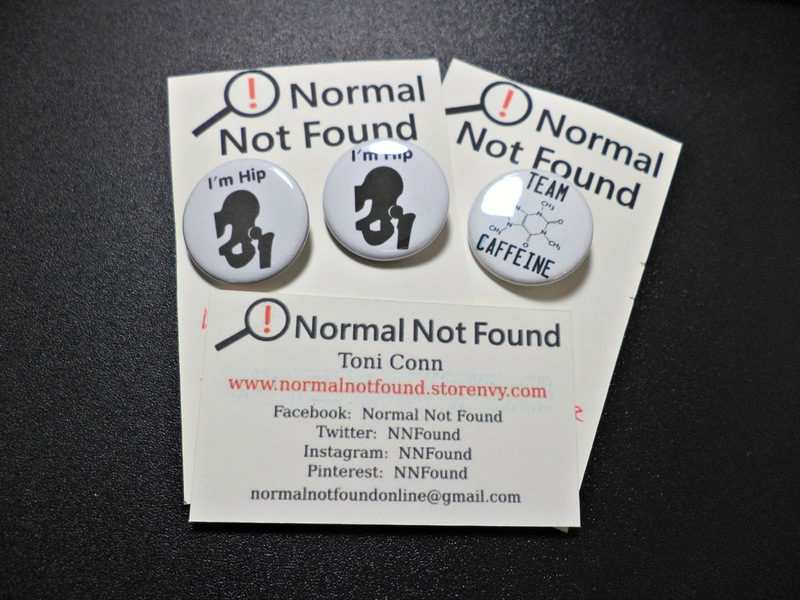 I started with turning the initials of Normal Not Found into various forms. I tried to draw a brain with glasses just to get that out of my system. I drew a box that held all the abnormal behaviors that geeks have. I looked at circuits. I moved down into working with the initials as bubble letters and as error messages. The error message really picked up steam. I didn't want it to be similar to what was found online and already used. 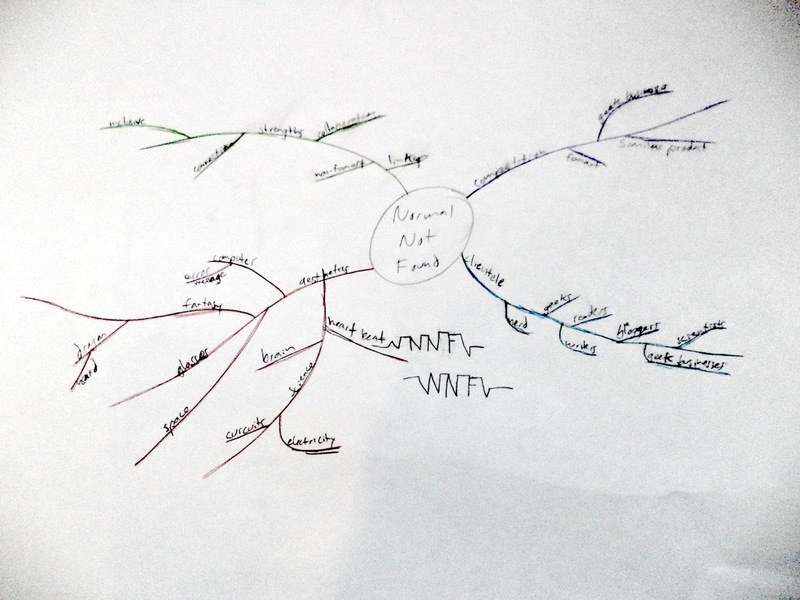 I tried different variations as well as different ways to have the words Normal Not Found be presented. Finally, the magnifying glass came out of nowhere amongst all of these triangles filled with exclamation points. I really enjoyed the exclamation point as that hearkened back to the days when I had time to play Pokemon and other video games. When something happened that was unexpected to your character a speech bubble with an exclamation point would pop up. I saw that other businesses had that already and I didn't want to take it from a video game either. So, I decided on a magnifying class. It links to the constant urge discover new things that geeks have a knack for and it points to the ability to find exciting things that aren't normal. This is really bad on the eyes. I'm sorry I tried it! Now that I had a direction, I worked with different fonts and colors to see what worked the best. I wrote those fonts up in the corner of my sketching page. I decided to keep the text black and have the exclamation point draw the attention. I chose red as that was the color used in video games. It's also a great attention getter and really draws the eye. I had created two different versions of the logo. I wanted one that was more condensed for packaging and didn't take up much horizontal space. If I used the horizontal version for packaging, the exclamation point would be difficult to see and the text would be smaller. The horizontal version was created for my business cards to save space and not crowd out the important information. I immediately made up business cards and packaging with my new logo. I wanted to get these important elements in place before I switched everything over online to my new brand. Rebranding in the digital realm doesn't take as long as rebranding in the physical realm. On the business cards, I wanted to have the website URL be red just like the exclamation point to call attention to where my products can be found. I also filed paperwork with the county I live in as well as with the IRS. I paid a filing fee to dissolve the DBA of Little House of Crafting and to get a new one for Normal Not Found. I was surprised that changing my business name with the IRS was so easy. You just need to send a letter to them on business letterhead explaining the change and that's it! Have you rebranded before? How did it go? Email me at toni@normalnotfound.com and let me know!